SHERWOOD — Good, old-fashioned hard-nose football. The Sherwood High School team thrived on it for most of the contest. But, at the end, West Linn showed it can play some hard-nosed football of its own. And the Lions got a thrilling, hard-fought win to show for it. 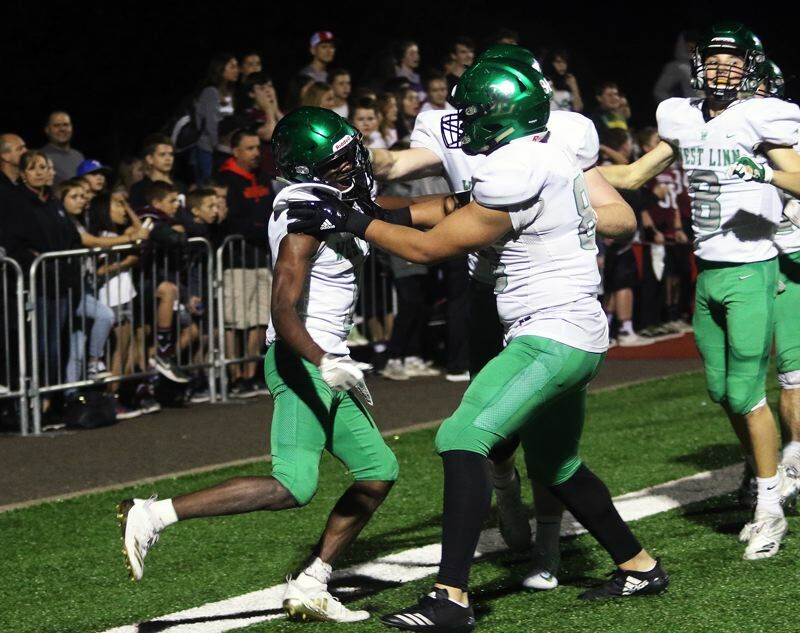 West Linn, after rallying to tie the game in the fourth quarter, came away with a 26-20 double-overtime victory over the Bowmen in a non-league battle played Friday at Sherwood High School. "We had to battle back. 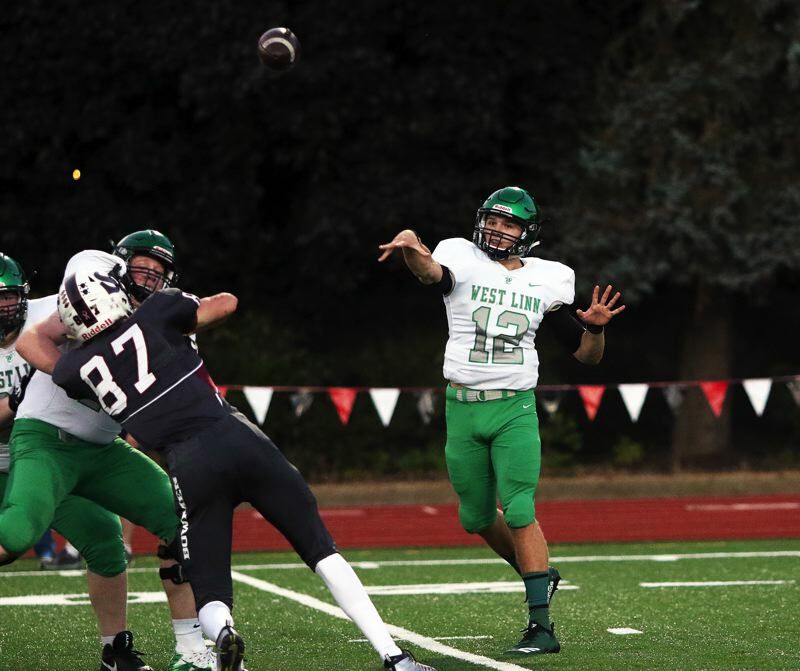 They're a hard-nosed football team that will run it down your throat," said West Linn senior quarterback Ethan Long, who had a touchdown run and a touchdown pass in the contest. "It was who had the tougher man card. Tonight, we came out on top, but they're a really great team." 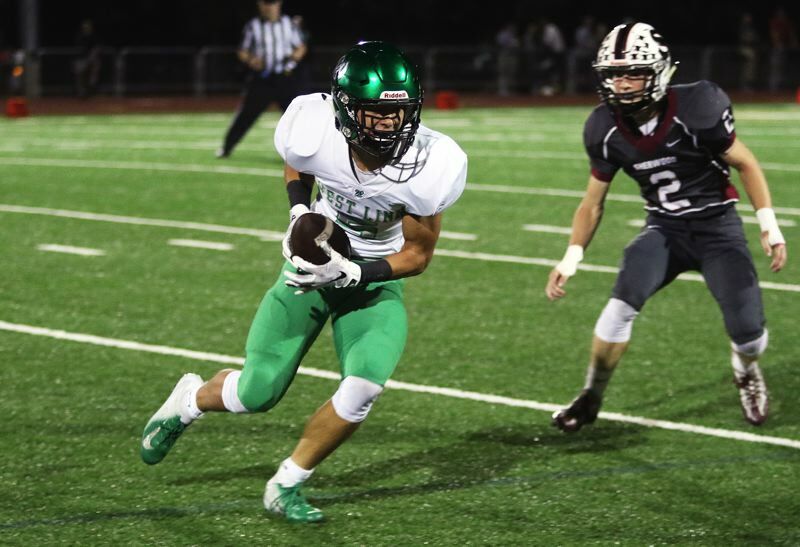 "It was good," said West Linn junior receiver Casey Tawa, who had a 77-yard touchdown reception. "It was kind of a struggle going down early, and then, at halftime down 10-7. But we battled back in the fourth and came together as a team. This was really fun. It was a great game, and it was good to pull out the win." With the victory, the Lions improved to 4-1 on the season. "This was super fun," Long said. "I'd rather play a game like this than to win 35-7, or something like that. It was so fun. This is what the sport's about — two teams battling back and forth." Sherwood moved to 1-4 on the season with the setback. But the Bowmen, who have played a brutal non-league schedule, look at Friday's game as a possible turning point to the season. "That was amazing," said Sherwood senior fullback Ian Stormont, who rushed for 106 yards. "That was the best game of the season. It was the most fun game of the season. Even when you lose a game like that, in double OT, against a powerhouse like West Linn, for Sherwood, in the state that we're in, that was amazing for us." "This was very fun. I was glad to play in a game like this," said Sherwood sophomore lineman Bryan Cuthbertson, who had an interception and a key blocked extra-point. "Our goal is (Pacific Conference) championship, so this was good preparation for that." 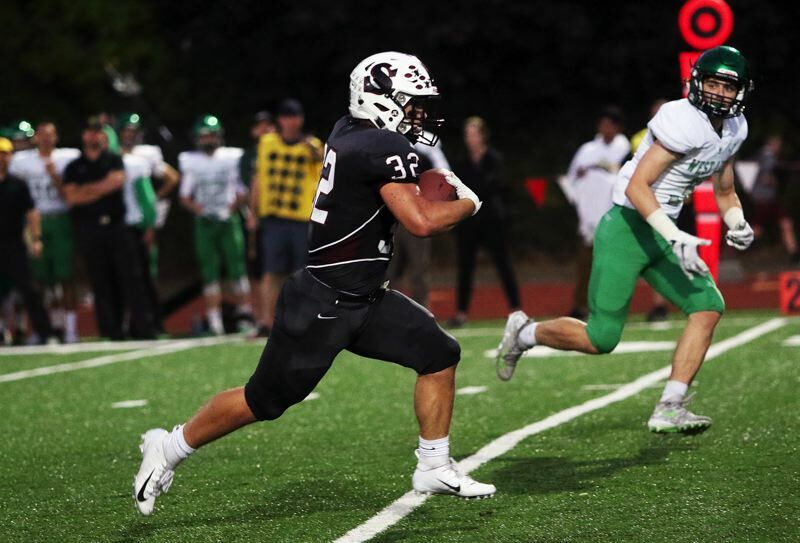 The Bowmen got off to a fast start in Friday's game. 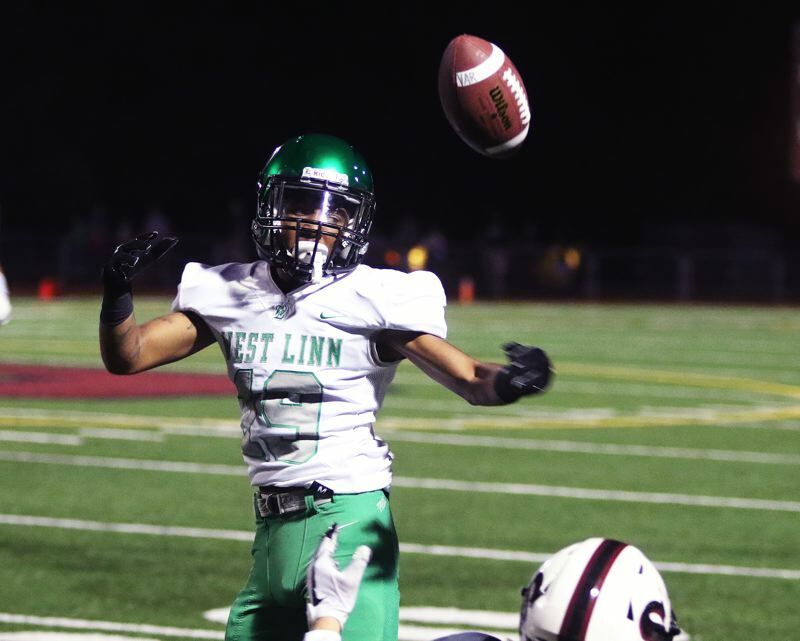 The first time they had the ball, Stormont broke off a 33-yard run down to the West Linn 1-yard line. But Lions came through with a goal-line stand, sparked by a tackle for a loss by junior Ryan Seth, and Sherwood had to settle for a 20-yard field goal by junior Kaedin Steindorf, which gave the home team a 3-0 lead with 2 minutes and 55 seconds left to play in the first quarter. But West Linn answered back, in a big way. Long and Tawa teamed up on a 77-yard touchdown pass play, which gave the Lions a 7-3 advantage with 1:39 remaining in the first quarter. "Our team has a tendency to make big plays when it matters," Tawa said. But that would be the last big play for the Lions for awhile. 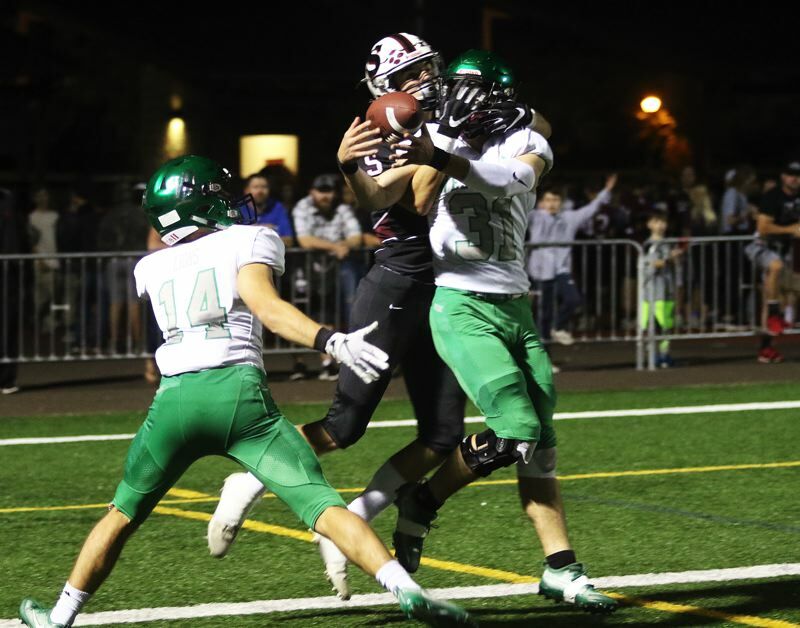 In fact, thanks to the Bowmen ball-control offense, West Linn wouldn't have very many plays at all over the next two quarters. Sherwood, after taking over possession on its own 18-yard line following a West Linn punt with 6:49 remaining in the second quarter, would hold onto the ball for the rest of the half. 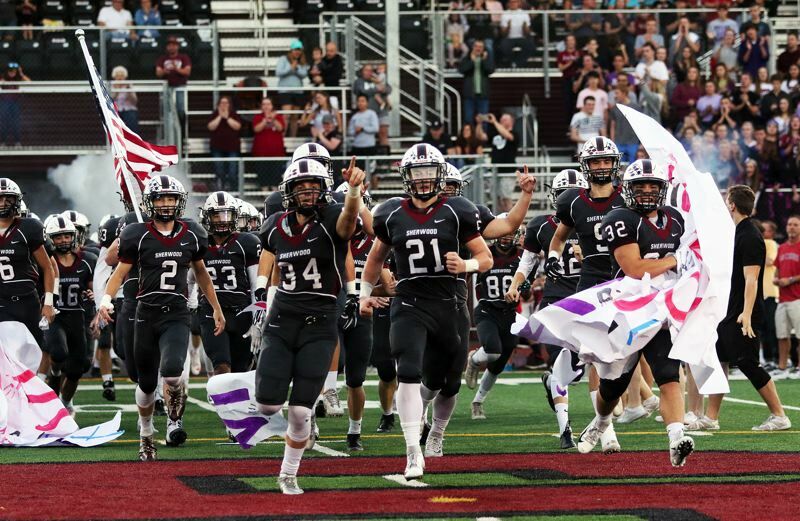 With Stormont, sophomore Clay Peden, junior Caleb Hagen and junior Jamison Guerra all running strong behind the offensive line of junior Ian Glenn, senior Jackson Barton, junior Nick Severson and sophomore Noah Cuthbertson, among others, the Bowmen methodically moved the ball up field. Sherwood, with just 2.5 seconds left in the half, faced a fourth-and-goal situation at the West Linn 2-yard line. Bowmen senior quarterback Cade Chidester ended the quarter with a touchdown on a QB sneak, giving Sherwood a 10-7 lead as the teams headed to the locker room. "It went well," Cuthbertson said. "We came out pretty strong in the first half. One of our goals was to get our running game going, and get a lot of yards. Just play hard, and play Sherwood ball." 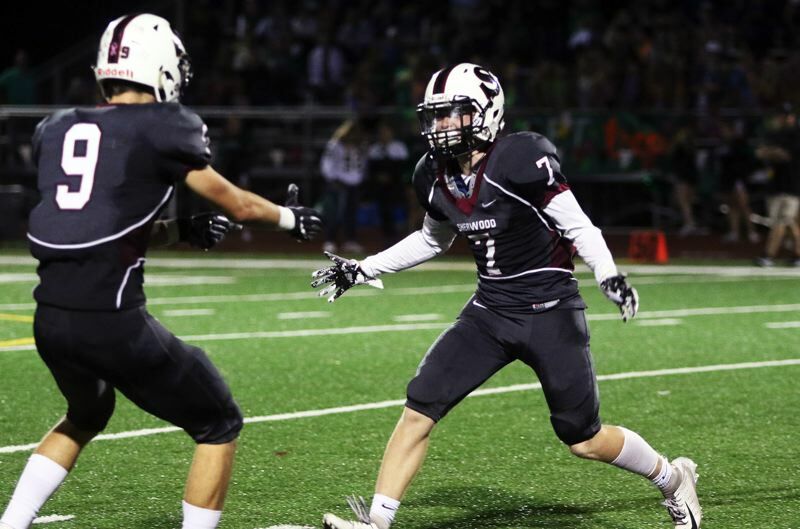 Sherwood, in the first half, ran 31 offensive plays, compared to just 14 for West Linn. "It was definitely a different type of game. They really did a good job of hanging onto the ball. In the first half, we had 14 snaps, which is really rare for our team," Long said. "It was really frustrating, especially with the mental lapses we had on offense. We just needed to clean up some things." Still, it was more of the same in the third quarter. 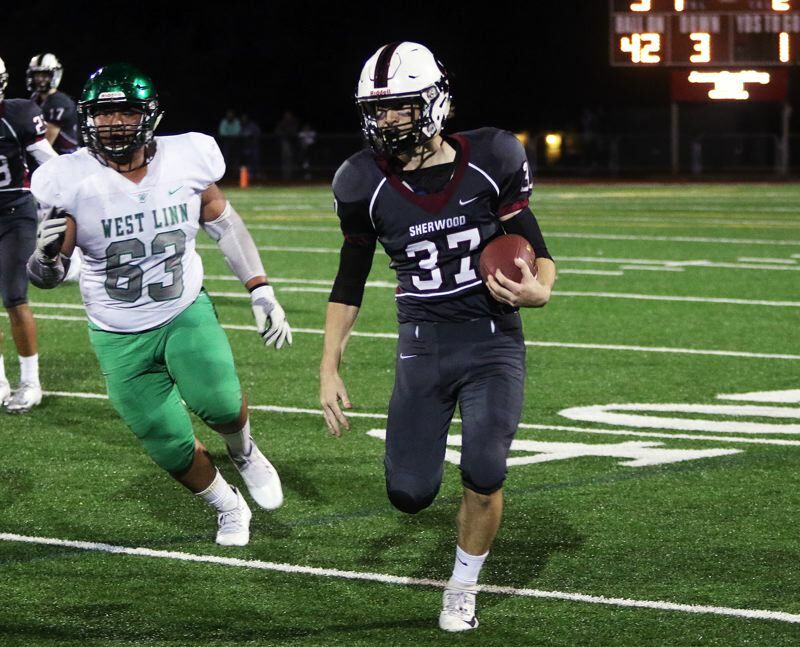 Sherwood had 19 plays in the period, while West Linn had just six — and two of those six plays for the Lions were interceptions by Bowmen seniors Noah Beeks and Jacob Reuter. Beeks' interception helped set up a 37-yard field goal by Steindorf, giving Sherwood a 13-7 lead, which it would take to the fourth quarter. Sherwood got another key defensive play early in the fourth quarter, as Cuthbertson intercepted a West Linn pass and returned the ball 22 yards to the Lion 46-yard line. "That was the first of my high school career, so that was pretty fun," Cuthbertson said of the interception. "Our goal for our defense for this week was getting three interceptions, and we got it." 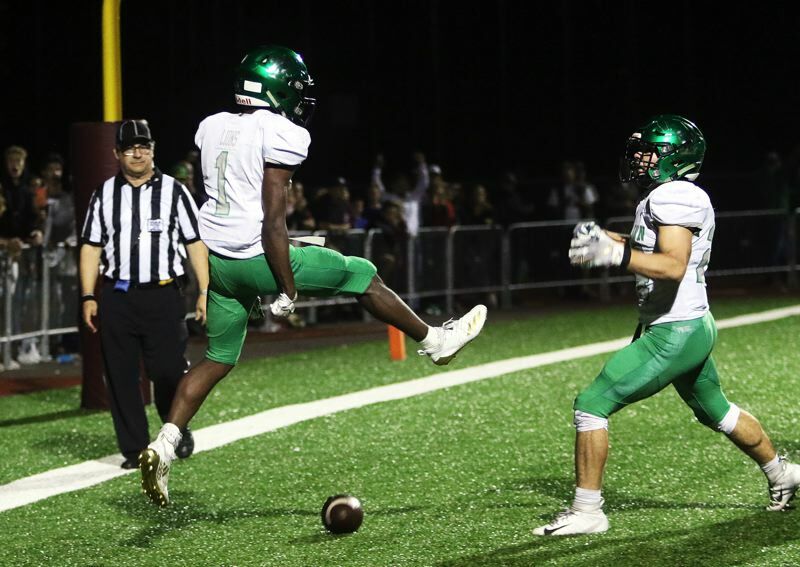 Sherwood ended up having to punt the ball away after the turnover, and, with time starting to become a factor, that's when West Linn kicked things into gear. Passes of 22 yards from Long to senior Jake Mastrandrea, and 10 yards from Long to junior Ethan Loun, helped the Lions move the ball all the way to the Sherwood 6-yard line, where they faced a fourth-and-1 situation. West Linn was able to draw Sherwood offside on the fourth-down play, moving the ball to the 3-yard line. Senior Dawson Jolley scored on a run on the very next play, tying the score at 13-13 with 3:54 remaining in the fourth quarter. But the score would remain tied, as Cuthbertson blocked the potential go-ahead extra-point kick. "I haven't really been playing the 'will' backer, and my teammate, Ben Baxter, pointed me to the 'B' gap," Cuthbertson said. "The ball was snapped, a guy tried to cut me, but I jumped over him and blocked the kick." Neither team was able to score in the final minutes of regulation play, sending the contest to overtime. West Linn had first possession in the extra-session, starting at the Bowmen 25-yard line. It took the Lions just four plays to score. An 18-yard run by Jolley set up Long's 4-yard TD run, which gave the Lions a 20-13 advantage. Sherwood, with its possession, got a 12-yard pass from Chidester to Beeks, helping set up a 6-yard scoring run by senior Kaden Rhinehart, tying the game at 20-20 and sending the contest to the second overtime. 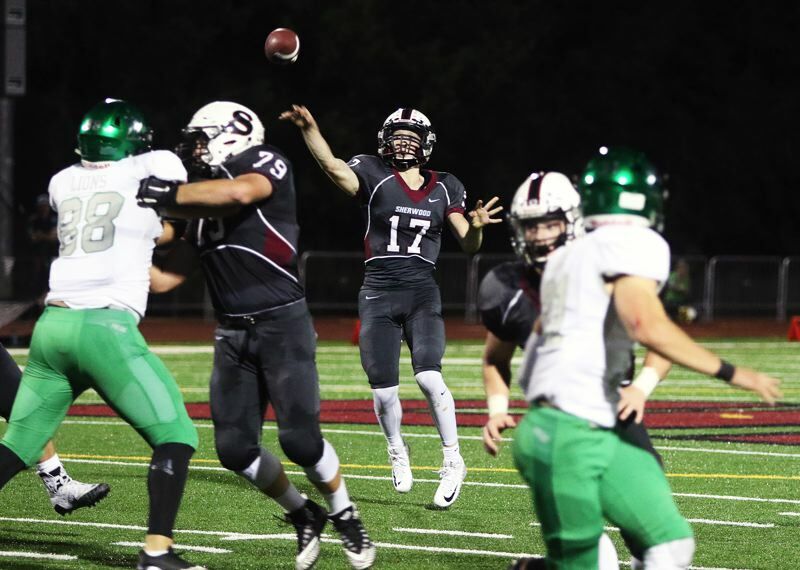 Sherwood, which had the ball first in the second overtime session, moved the ball to the West Linn 4-yard line, but the Bowmen had to settle for a field goal attempt, which was off the mark. 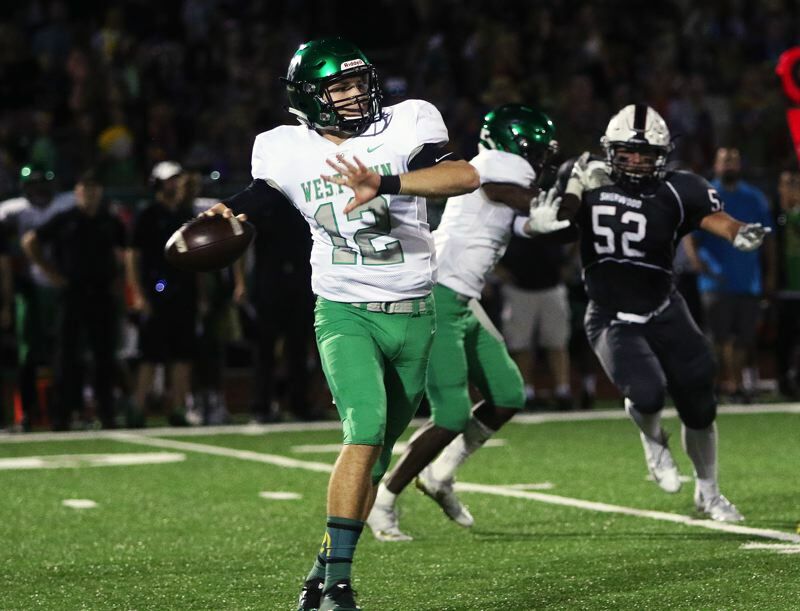 West Linn, taking over with a chance to win, got a 9-yard pass from Long to Tawa and a 5-yard run by Jolley, moving the ball to the Sherwood 6-yard line. Jolley scored on a run on the next play, ending the game and giving the Lions a 26-20 victory. "We had a good talk at halftime, and just kind of united in the second half," Tawa said. "We knew we had to dig deep to pull it out." "We knew that it was going to be a dogfight going into the fourth quarter," Long said. "I had a rough night. Three picks on me. That's huge. I can't be doing that. Coach (Chris) Miller is such a great coach, and with his experience, he always tells me that you're going to have games like that, and you just have to flush it and get back and battle." Long, for the game, completed 13 of 27 pass attempts for 206 yards and a touchdown, with three interceptions. Tawa had four catches for 128 yards. Mastrandrea had two receptions for 36 yards. 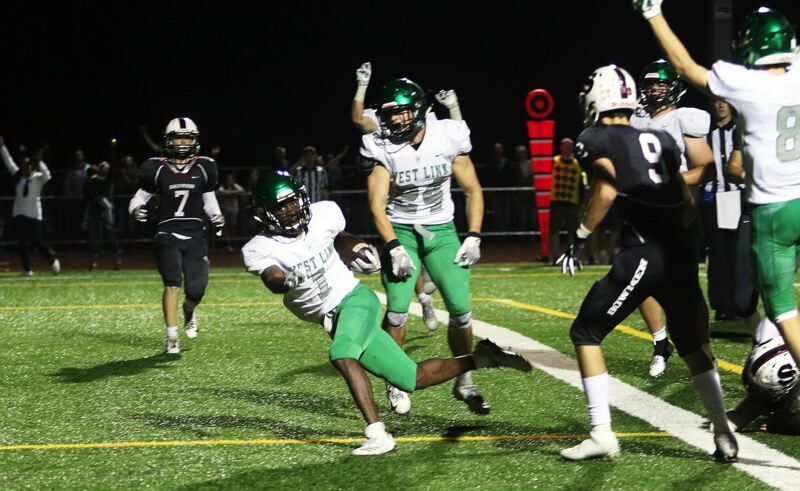 Jolley led the West Linn rushing attack with 93 yards on 18 carries. For the West Linn defense, Seth had two tackles for losses. Junior Adrian Sandoval, senior Elijah Ntsasa and junior Damiko Tidmore Jr. each had one tackle for a loss. Senior Max Jacobs had an interception. "In the second half, our defense started to fix some things, and that really helped us out," Long said. "It was a great defensive effort." Sherwood, as a team, rushed for 274 yards on 64 carries in the contest. "It always depends on what kind of team we play," Stormont said of the offensive attack. "Sometimes we spread it, sometimes a little more Wing-T. 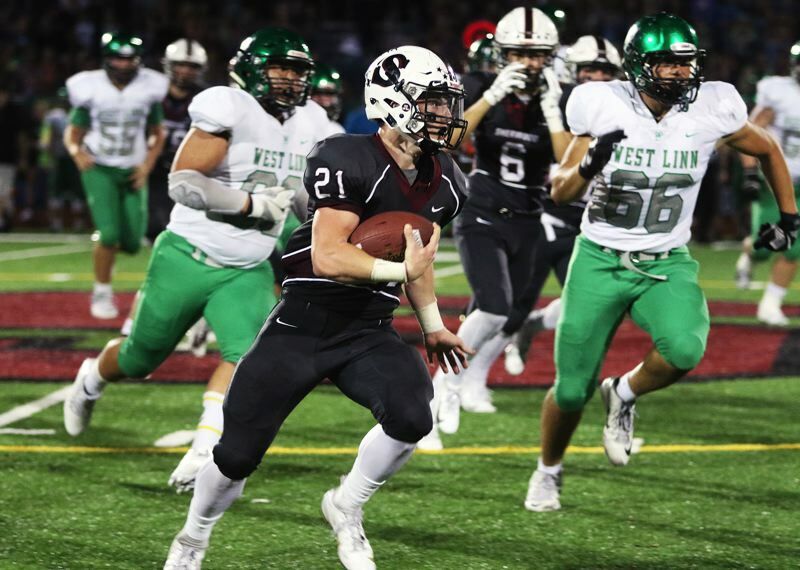 There are some teams that we feel that we can drop the ball over and some teams that we feel like we can punch in the mouth, and I feel like we did that with West Linn today." Stormont picked up his game-high 106 rushing yards on 25 carries. Peden added 64 yards on 13 carries. Rhinehart had 49 yards on nine carries. Chidester completed two of six pass attempts for 23 yards. For the Sherwood defense, Cuthbertson had three tackles for losses to go with his interception and blocked extra point. Senior Sebastian Heymann and Reuter each had a tackle for a loss. "Tonight, we had the energy. I got to thank all our fans, our band, everyone was chanting. It was amazing," Stormont said. "This game will build our confidence. For the most part, we know that we can do this, that we can come out and compete with teams like this." Sherwood will open its Pacific Conference schedule on Oct. 5, when it plays at McMinnville (4-1) at 7 p.m. West Linn will play at Lake Oswego (4-1) Oct. 5 in a Three Rivers League showdown.